I tried receiving Biofield tuning followed by immersing myself in Nature. I had a delightful morning with Jackie. We did a biofield tuning which was very energizing and calming. I felt a lot of subtle energies during the session and a strong sense of the energy in my whole aura being coherent with a slight buzz. It was really striking! Then we went into Nature to explore making sounds with gongs. It deepened and expanded the experience in a very potent way. That night I was so full of energy I had a number of synchronicities and soul level insights that felt directly related to the time spent with Jackie earlier that day. This is a vital process in these times of challenges and changes. Biofield Tuning is a wonderful therapy that works with your electrical field to restore balance and flow through your whole being. I have been practising it for the last few years. This summer many of my clients also requested a Biofield Tuning session with me. Both the client(s) and I have found it a deeply rewarding experience. First clients spend over an hour relaxing on the couch. 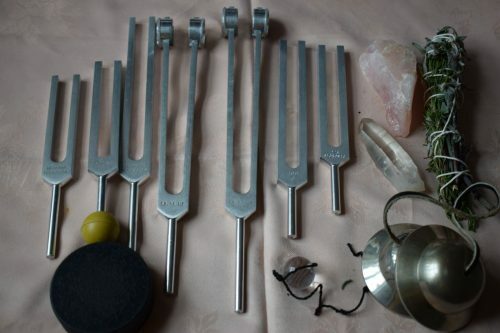 Meanwhile special tuning forks comb and column their energies in a specific manner that eliminates blockages. Then with bodies and minds reset in a clear open channel we go into the beautiful nature that surrounds us here in the Burren. With aids such as the gong’s healing sounds and meditation, clients can really connect. They soak in the natural energies that Gaia offers. It is often hard to listen, and I find that Biofield Tuning is such a therapeutic aid in this instance. Each session is deep and leaves you in the present moment, feeling as light as the fairies. Why should you book this? It is important to acknowledge the blessings that Nature bestows on us daily, and we are healed and energised more fully when we embrace that side of us that is intrinsically linked to Nature. Marko Pogacnik calls this our elemental self. In the future I believe humanity will once again work in close symbiosis with Nature. 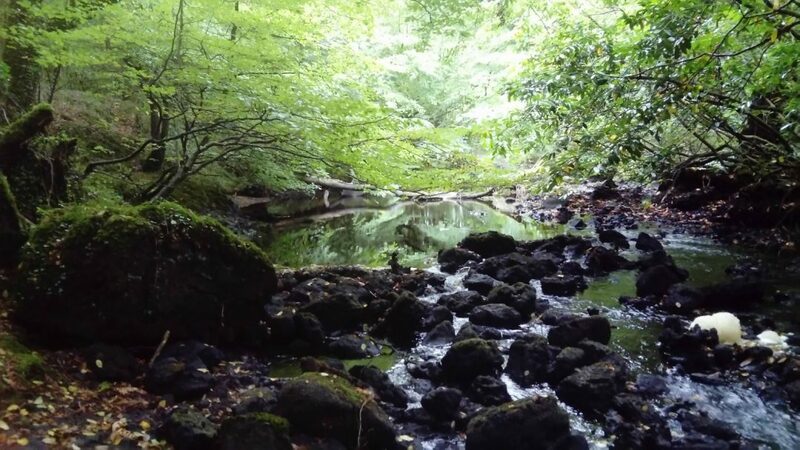 Spending a day receiving Biofield Tuning and immersing yourself in various nature settings is a small but sure step towards returning to wholeness. As well as connecting you to source, it grounds you. This too is important. Sessions take place in my home and GPS instructions are sent upon booking. Sessions together with nature visits last between 3 and 4 hours depending on driving time involved. Do not eat a heavy meal before attending and drink plenty of water both before and after in order to allow detoxification. 30% deposit required to secure date and final payment due before start of date. All payment via PayPal info@earthwise.me or via bank transfer upon request.